Style #022: Double-railed Gibeon Meteorite Ring available with polished or wire-brushed finish. 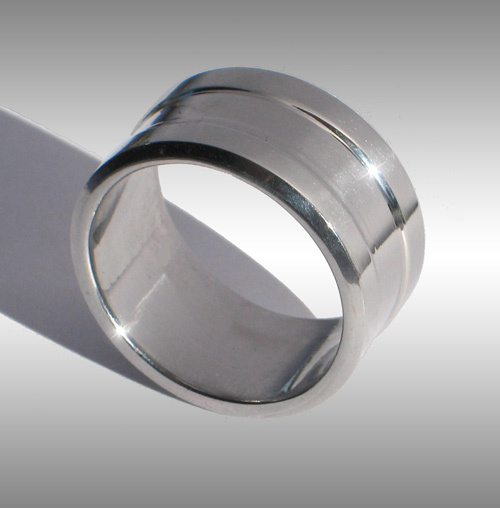 This simple yet elegant men's ring is shown in size 10.5 and 11.9 mm width. Please enquire for current price! Also availalbe in narrower widths!